The former Google CEO made the bold prediction while speaking at the Le Web conference in France this week, paidContent reports. The Mountain View, Calif., search giant recently relaunched Google TV with a major software update that brings more apps to the platform. By the summer of 2012, the majority of the televisions you see in stores will have Google TV embedded in it," he said. Google TV wasn't the only product that Schmidt issued predictions for at the conference. The executive said on Wednesday that developers will favor Android over iOS within six months time. Citing the mobile platform's high volume of sales, Schmidt told developers that they would want to support Android "whether [they] like Ice Cream Sandwich or not." Google faces numerous obstacles on the way to a majority share of the connected TV market. 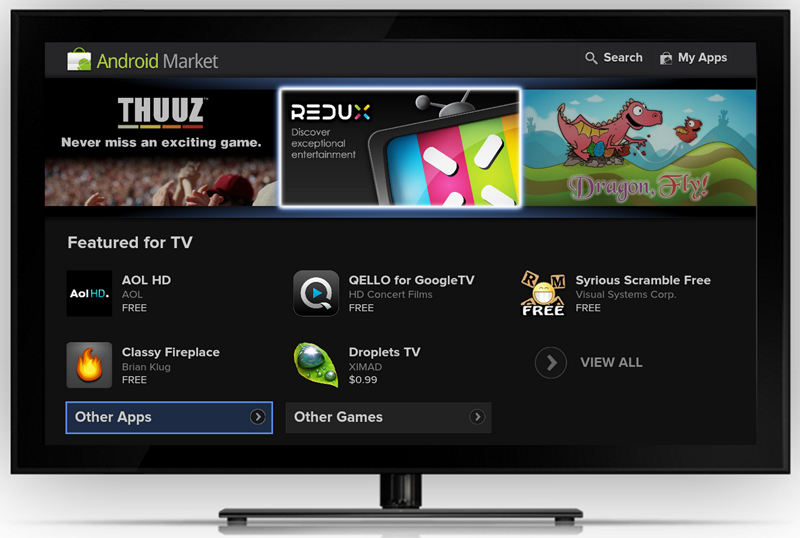 The company's original launch partners struggled to move excess inventory last year after Google TV was panned by critics. Sony had to cut prices on its own Google TV offerings after disappointing sales. Logitech recently revealed that fumbles with its Google TV set-top box cost the company $100 million in operating profits. CEO Guerrino De Luca said his company will sit "on the bench" while Google improves the product. After last year's struggles, Google may have a hard time convincing HDTV makers to adopt the Android-based platform, especially since a number of vendors have developed their own competing "smart TV" platforms. South Korea's Samsung unveiled a "digital hub" strategy earlier this year that centers around cloud-based televisions. Panasonic and Sony have also designed their own interfaces for their sets. Though Google TV was largely seen as a challenge to Apple's $99 Apple TV set-top box, recent rumors of an Apple-designed connected television could portend an upcoming battle over the living room. Whereas the Apple TV has remained little more than a hobby, albeit a successful one, for Apple, a full-blown Apple television could crack open a $100 billion market for the company. Steve Jobs' biographer Walter Isaacson resparked speculation regarding an Apple television when he revealed that the late Apple co-founder had admitted to having cracked the secret to a "simple and elegant" television interface. At the least, Apple's rivals are preparing for the competition. Sony CEO Howard Stringer has said he has "no doubt" that Jobs was working to reinvent the television. Stringer said last month that he had spent the last five years "building a platform" to compete with Jobs. Recent reports have suggested that Apple will release the rumored television set in late 2012. Japanese sources reportedly claimed this week that a "major Japanese company" is involved in manufacturing the set, which is believed to have three screen sizes ranging from 32 inches to 55 inches. Analyst Brian Blair of Wedge Partners weighed in on Wednesday with the prediction that Apple will release an iMac computer with built-in TV functionality in the first half of 2012 as a stepping stone to the full television set.